After 11 years the battery needed to be replaced. 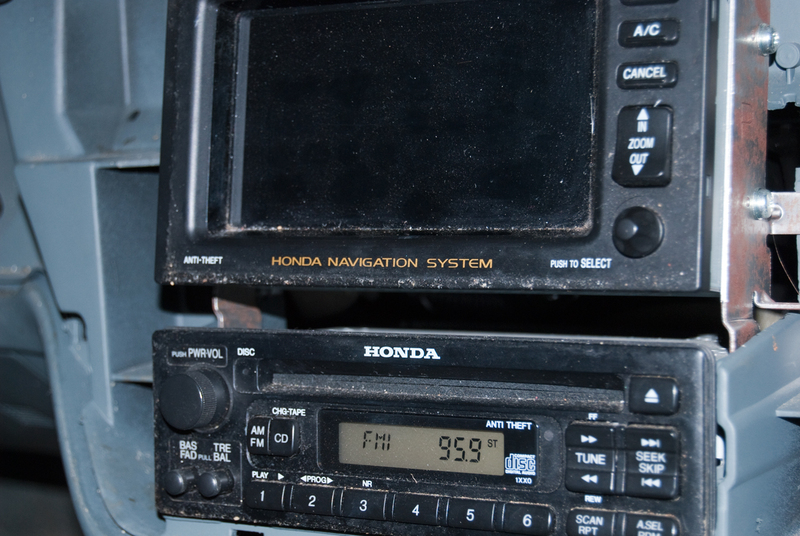 When DC power is no longer getting to the radio and GPS Navi system they need a code number to work again. This is an anti theft measure, but makes for a problem when you can't find the serial numbers on the van and can't find the origional paper work with them. The dealer wants 1 hour of labor to get the radio serial number. 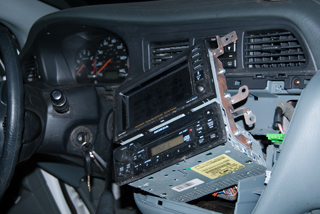 But you do not need to disconnect the radio electrically to see the serial number. A local dealer wanted 1 hour of shop time to pull the radio so the unlock code could be determined. If you know what you're doing and have a flat blade and Philips screwdriver you can probably do it in under 10 minutes. 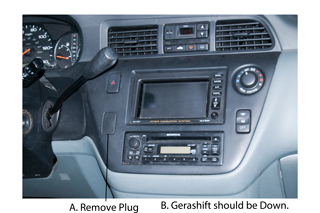 Put on the parking brake and put the shift lever all the way down. If the cursor is a (+) then click again for an even larger photo. Remove the blank filler plug (A) using a small flat blade screwdriver. 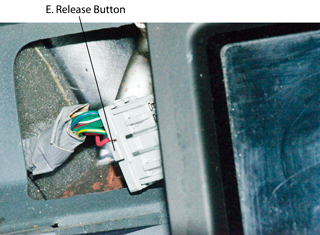 cables that hold the center panel and they need to be removed by squeezing the release. 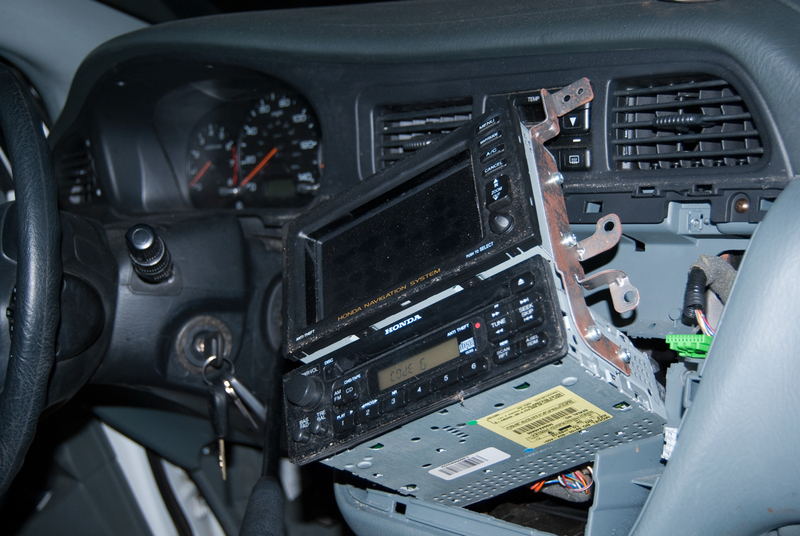 to remove it from the back of the center dash panel. 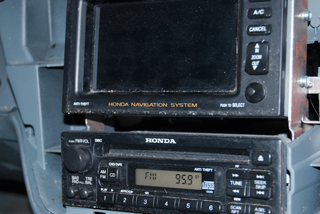 This is the one to the upper right of the radio. The dome light switch connector that stays with the van is to the lower right of the radio. Press the button (D) to release it. 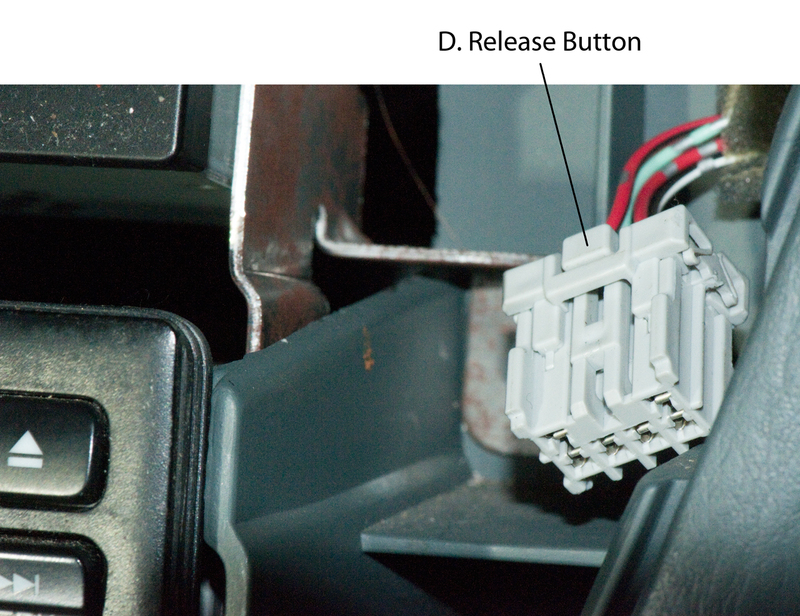 The emergency flasher switch connector is at the upper left of the GPS panel. Press the release button (E) to release it. label can be read to an assistant who can read it back to confirm it's correct. Write the GPS & Radio serial numbers (not the unlock code) into the owners manual. so there's no comprimise of security by writing them in the owners's manual. serial numbers for both the Radio and Navi GPS) and the their unlock codes. the new code. Rather than pressing a random number, press the first digit of the unlock code. Confirm that the radio (or GPS Navi) is working. Now install the 6 screws but leave them loose unitl all 6 are installed. Snap the three connectors into the center panel. 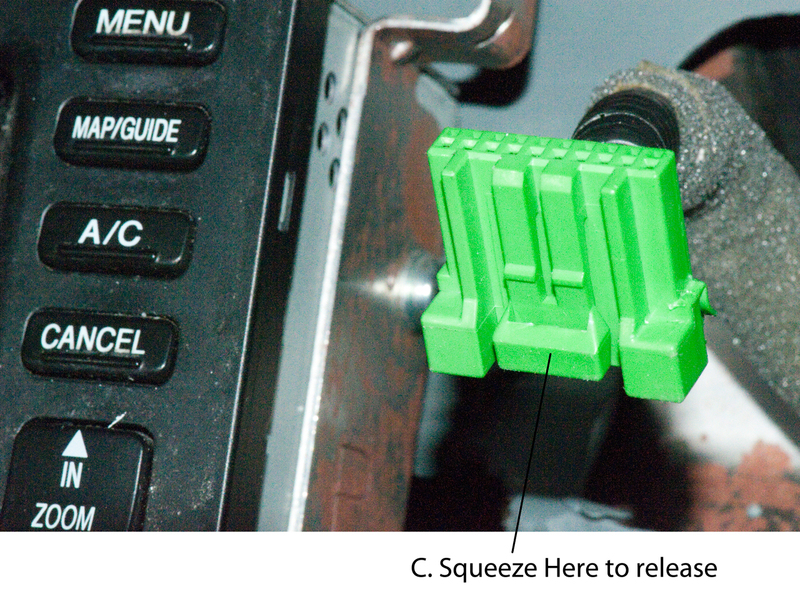 Use the palm of your hand to seat the center panel. Reinstall the plug with the notch down. Vehicles - cars, live steam, models, etc. page created Dec 8, 2011.